There are a multitude of scenarios where a vehicle safe can provide protection from burglars. Perhaps you have a laptop or an in-car entertainment system that’s too bulky to carry with you when shopping. Maybe you want to take a walk on the beach but need to leave a camera or MP3 player in your car to protect it from sand. If you are a taxi or van driver who collects payments while on the road, you might require some way of securing your takings. There are a wide variety of vehicle safes available to suit these kind of situations. The most common and affordable types of vehicle safe use a steel tether cable to provide security. 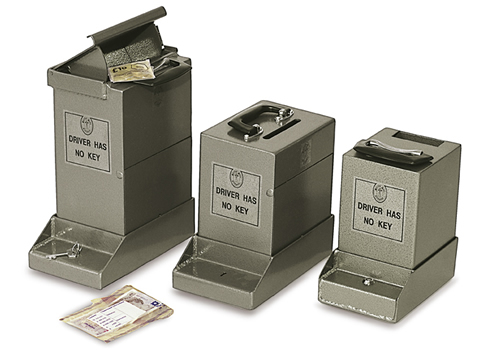 These vehicle safes are ideal for securing personal belongings such as wallets, phones or small amounts of cash. Simply lock the safe, then secure the tether around a robust anchor point inside the car such as the passenger seat mounts. Compactly designed, these safes are generally easy to conceal, leaving no easily visible indication that there might be valuables inside the car. Larger safes of this kind can be easily stowed in the boot of your car. 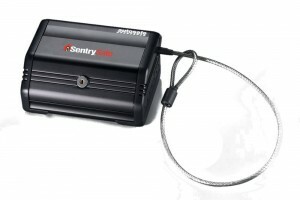 Tethered vehicle safes are straightforward to use and can be completely removed from your car when not in use. Providing far more security than tethered versions, these vehicle safes are perfect for those who’s job entails collecting payments on the road or who simply need a higher level of security for important belongings. These safes are usually installed via a fixing plate or bracket which is bolted to the chassis of the vehicle. The safe is then attached to this plate/bracket via fixing bolts. These bolts can only be unscrewed if the safe’s door is open. Some bolt-down vehicle safes designed for commercial use are secured to their fixing plate via a key lock. 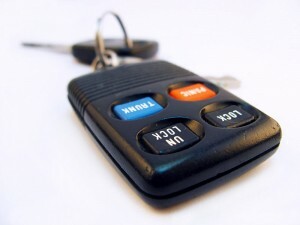 This allows the keyholder to quickly and easily unlock the safe from its mount so it can be removed from the vehicle when necessary. The contents of the safe can be easily transferred to a more secure office safe or deposited in the bank. Bolt-down vehicle safes are available in a wide variety of styles. Some resemble traditional safes with a single door and lock. Certain models are designed to be wide and flat to accommodate a laptop computer. Others might feature deposit facilities such as a slot or rolltop lid. Some manufacturers also make bolt-down vehicle safes suitable for storing guns. Although they are more secure than tethered models, bolt-down vehicle safes are also more difficult to install. They are best used in situations where they will remain in place for a reasonable period of time, as removing them can also be impractical. Designed specifically to meet the requirements of tradesmen who must keep expensive tools in their vans or trucks, these vehicle safes are constructed from thick metal and feature very robust locking systems. They usually take the form of a large box with a top opening lid and provide both a large storage capacity and security. 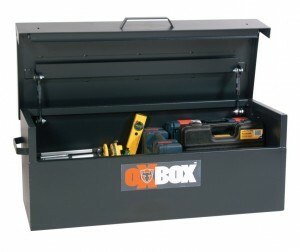 As the owner may need to remove the safe to access his tools at a job, these models are generally not bolted down. Their sheer weight makes them an impractical target for theft, and once they are locked with a suitable padlock, the contents are protected. Smaller units feature handles allowing a team to move the tool chest when needed. Larger models are generally equipped with forklift skids so that they can be lifted to and from the van or truck.